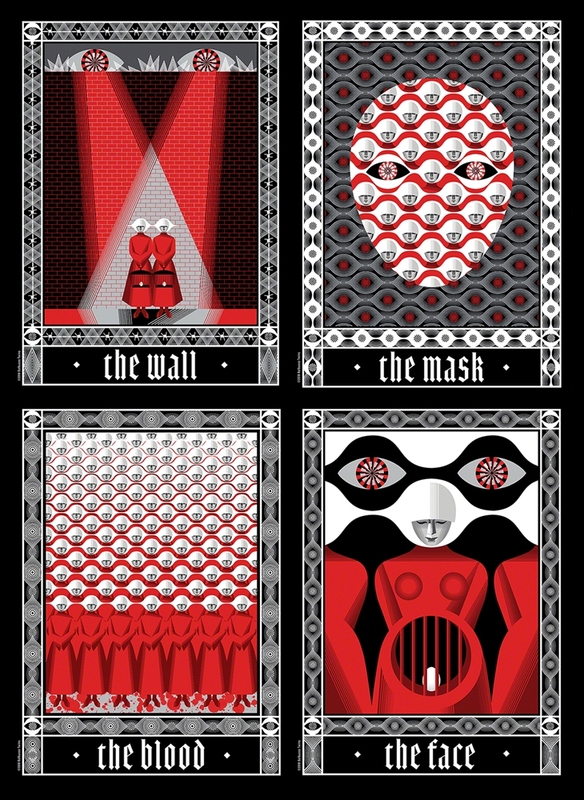 Complete set of four limited edition prints, The Wall, The Mask, The Blood and The Face. Artwork by The Balbusso Twins. Hand-pulled, 7-colour screen prints. Printed by White Duck Editions. Artwork inspired by The Handmaid's Tale written by Margaret Atwood.